Earlier this week, we received an invite to join Grant and Marie (of Marie, Let’s Eat) and their friends Helen and Vincent (who were delightful) at Gu’s Bistro. As we had not been to Gu’s, and I’d seen a lot of talk about it – including a reference on Atlanta Magazine’s food blog last week about what the chefs around town ate last week while snowed-in (Todd Ginsberg of the General Muir was eating leftovers from Gu’s) – we jumped at the chance. Driving across town, when we arrived, it seemed like we had driven much more than the thirty-plus miles from our home to BuHi – it was as if we had crossed a border. 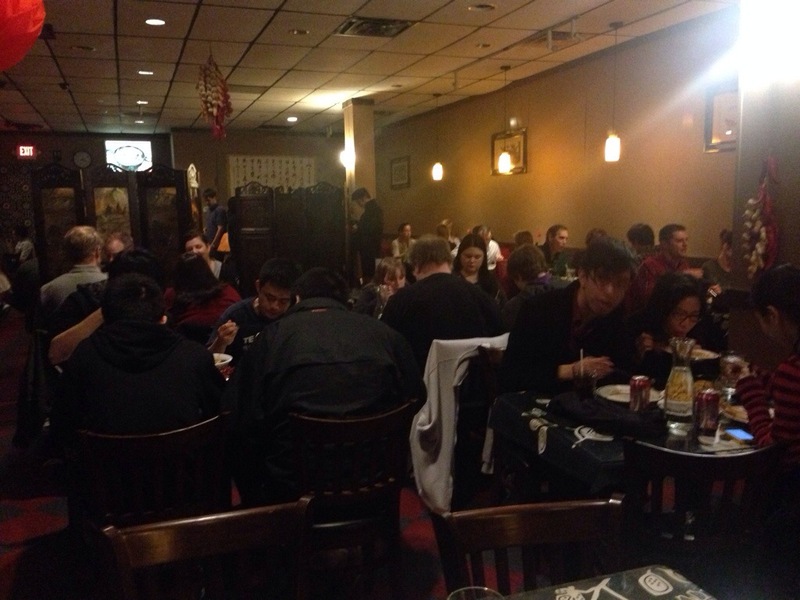 The Asian to Anglo ratio was two, or more, to one (generally a testament to authenticity) and the place was absolutely packed. The others were already seated when we arrived and we dove into the menu, which included some very helpful pictures. 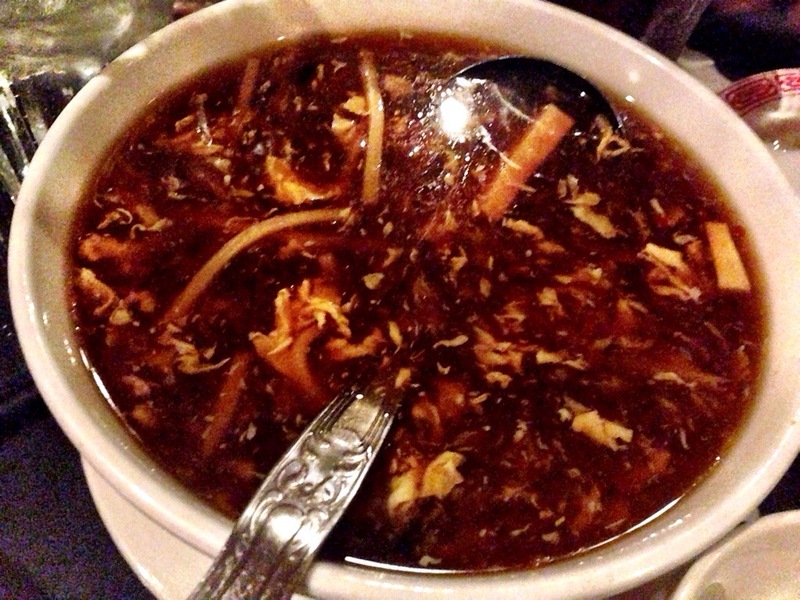 We began with a “big bowl” of hot and sour soup which was very tasty. Spicy and savory, I didn’t even notice that we had no fried noodles. Several reviews that I read, said to avoid the Anglicized Chinese restaurant menu and go with authentic dishes, so we started with Zhong style dumplings which were filled with pork and covered in a sweet sauce, flavored with chili oil. We actually we ended up using the sauce from the dumplings as a sauce on the steamed rice. 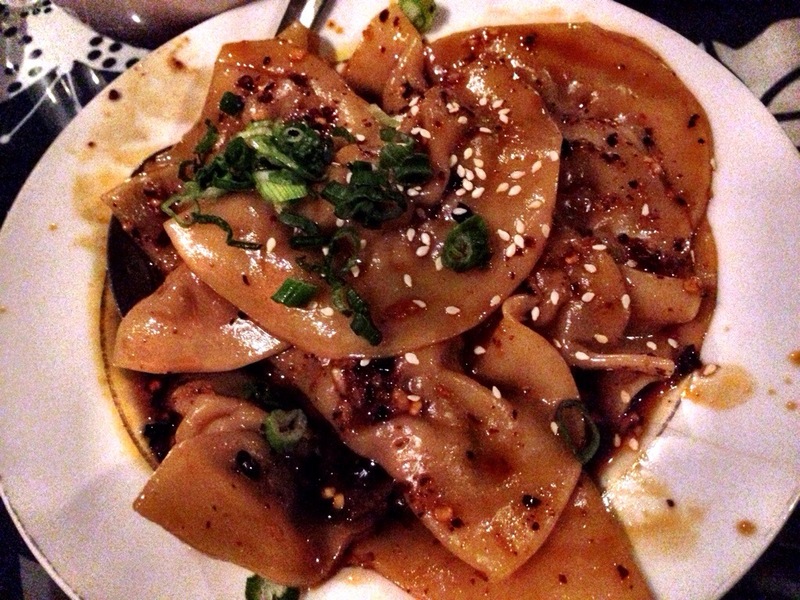 These dumplings were excellent. 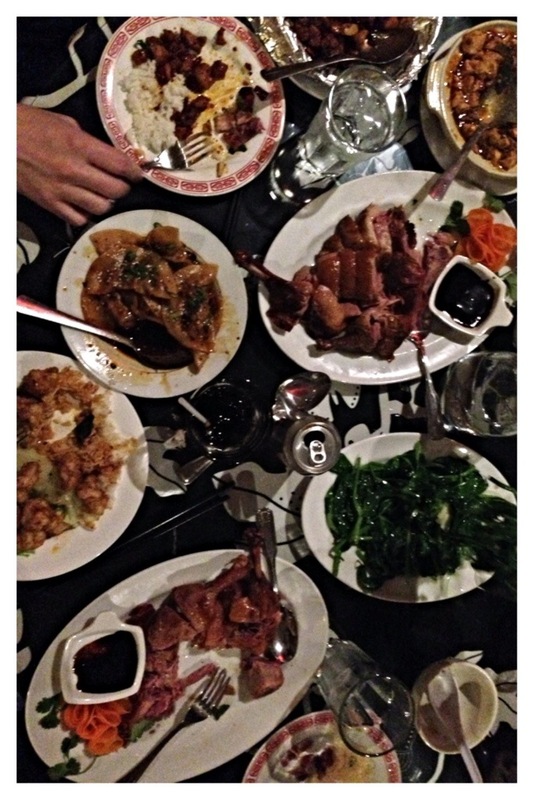 With this many choices on the menu, I ordered two entrees, figuring I’d share one with the table. 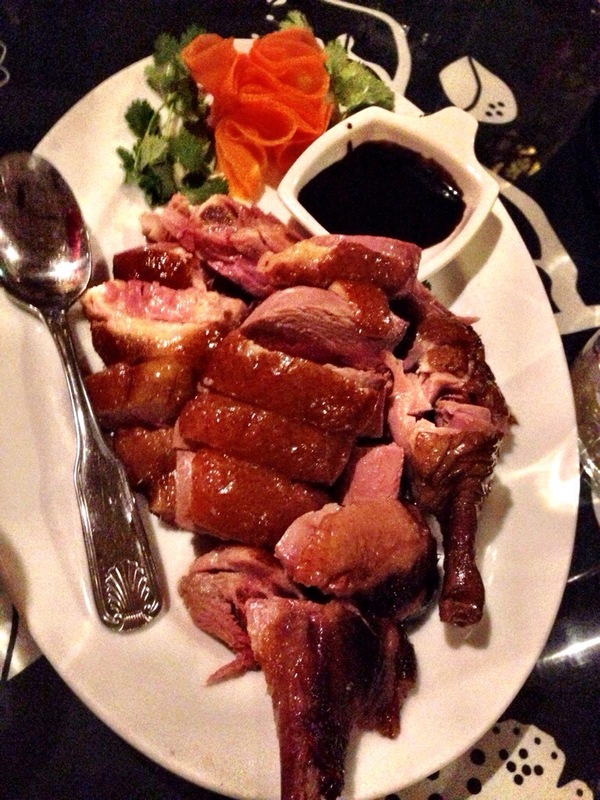 One of my choices was the tea-smoked, bone-in duck for which they are well known and which was so smoky that you could smell the dish coming as it approached the table. It tasted as smoky as it smelled and while it was okay, neither of us particularly loved the dish. 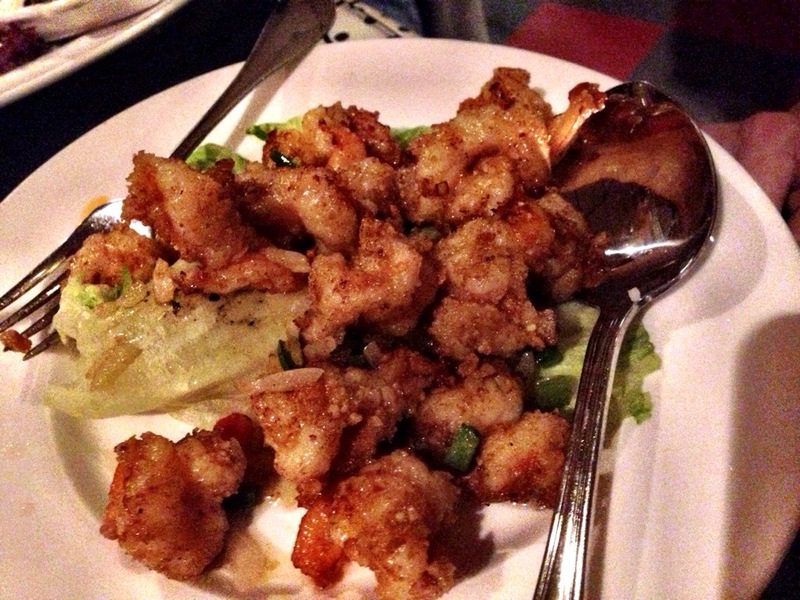 Jo chose salt and pepper jumbo shrimp which could have used both more salt and more pepper, but were fried perfectly. 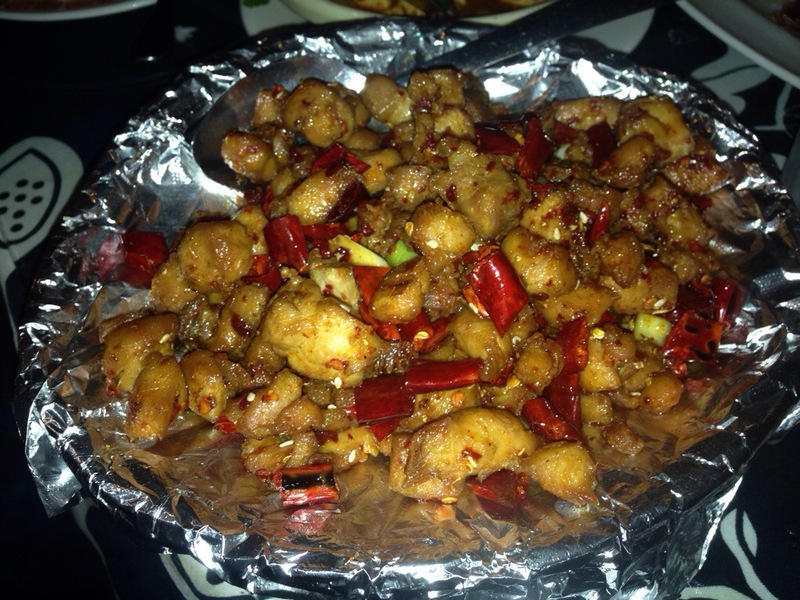 And my second dish, chongqing chicken, which was marked three peppers spicy on the menu (the food is rated from one to four peppers), fried and sauteed chicken with garlic and scallions and full of dried chili peppers. It was fiery, slightly sweet and when mixed with a forkful of the steamed rice (from the bowl that the table shared), it was spectacular. At the table we also had mo fa tofu, snow pea chutes (pan fried with garlic), a pork dish and a fish and pickled cabbage soup. Jo came up with the perfect description of the tofu – the texture was similar to flan, as it melted completely as it hit your mouth. The mo fa sauce on the tofu was excellent and I checked the menu to see if they prepared pork or chicken the same way. They do not appear to, but I would imagine that it would make a wonderful chicken dish. I heard that the snow pea chutes were quite tasty and also learned that the tender, bud end of the chutes are the most highly favored part, and quite the delicacy. As you can see, it was quite a tableful. We ate and ate and five boxes of leftovers still left, among us. There’s a lot of talk around town and on-line about whether this or Tasty China is the best example of Sichaun-style cooking in Atlanta. I think I’d need to try each, several more times, to make that determination – that would only be fair. 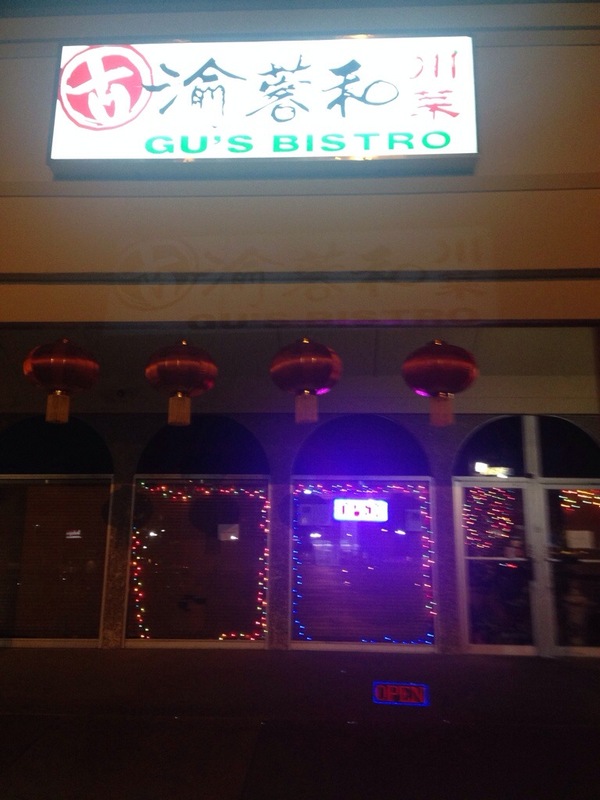 Gu’s Bistro is certainly among the best Chinese restaurants in town.